There are many ways to get involved at Fredericktown UMC. Here are just a few! What's the point of going to church? At Fredericktown UMC it's to become a disciple, or follower, of Jesus Christ. Following Christ happens in all parts of our lives, not just on Sunday mornings. When we follow Christ, we can transform the world! There are three main ways that someone engages in a life of discipleship that help shape how we live and grow in faith and action: Come Together, Catch Fire, and Go Out. Because we never stop growing, these three categories are more like a dance than a straight line. Anyone, at any age, can start living a life of discipleship. Come Together ministries help us to be part of a community of believers- worshiping, building relationships, encouraging each other, and finding support for a life of discipleship. Activities include Sunday morning worship services, fellowship events, and small groups. Catch Fire ministries are where we experience God's presence with us and amazing love for us! It's where we learn, get inspired, and find the motivation that comes from an experience with God. Catch Fire ministries include Christian education courses, Sunday School, short-term classes, and leadership development. Go Out ministries are where faith meets action! God's love is something that needs to be shared, whether through acts of local and international missions, outreach, or evangelism. We believe that God is changing the world through the Gospel, and we are invited to be part of that! Each fall, FUMC sponsors a Coat Boutique that provides coats and winter wear to anyone in the community who needs one, no questions asked. Last year, over 200 coats were distributed to our neighbors. If you have new or gently used coats you'd like to donate, simply drop them by the church any time! It takes all of us to make a difference! Our Coat Giveaway for 2017 was a great success and we want to thank everyone that helped! Please let us know if you have any coats to donate for our 2018 drive or if you would like to help! We have several ways that you can get involved with a small group at Fredericktown UMC. 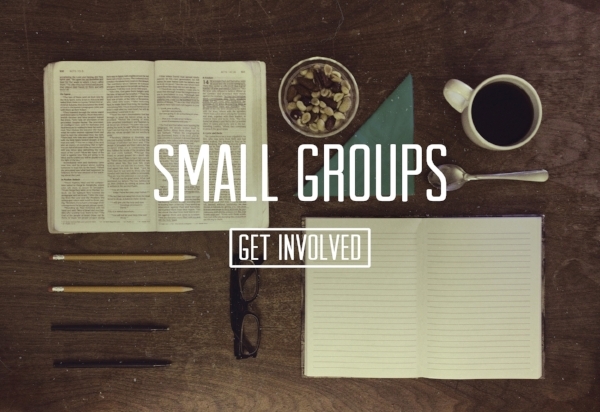 Please see our "Take Action" page for the current list of our active small groups. If you do not see one for you there, please let us know what type of group would be a help for you!